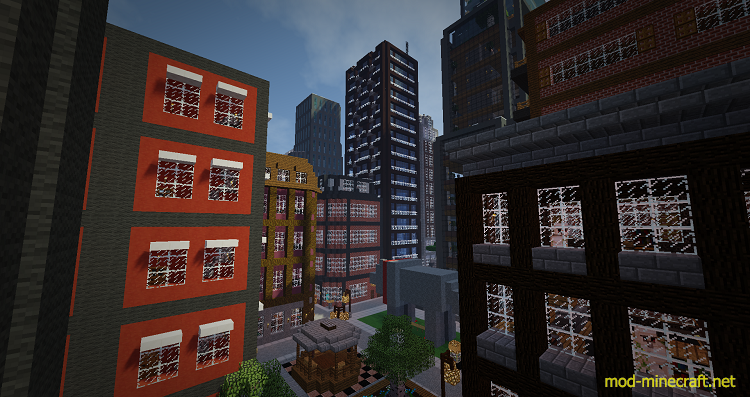 Newisle started with one goal: make a modern and dense city skyline. And it became much, much more than that. The project began all the way back in August of 2010 during the early alpha days and has been kept alive ever since. It’s been done entirely solo and is my one and only world save to date. 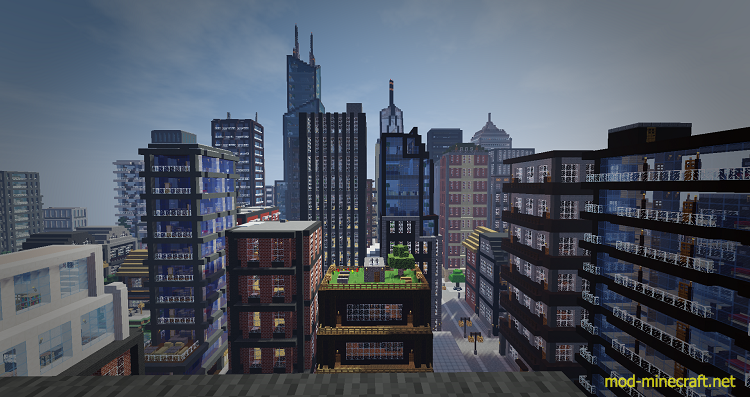 Since its early days of crude cobblestone structures and basic materials the city has grown substantially into a wide-reaching modern metropolis that spans roughly 600 blocks in each direction. Littered with historic monuments, crisscrossing rail lines and hundreds of fully furnished buildings there’s no shortage of sites to see around Newisle and beyond – there are now 6 other independent cities and towns to explore outside of central Newisle. 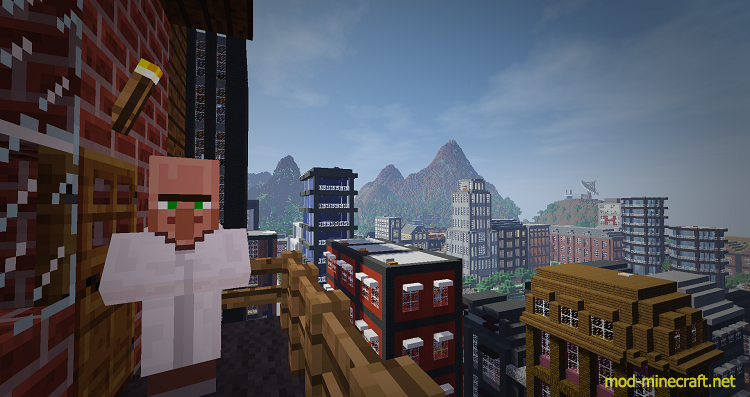 Fully furnished interiors in each and every building – 500+ across the entire map.